From November 26th to December 6th I was on holiday with my XYL Sabine on Phu Quoc Island in Vietnam. My callsign was XV4SP and I was active from 160m to 10m in CW, SSB, RTTY, PSK31 and SSTV. Please check my News Page. My equipment was a K2 transceiver, a XV600, lowband verticals and dipoles, a HF9V and beverage antennas. Location: Southeast Asia, bordering to the countries China to the north, Laos to the northwest, Combodia to the southwest and the South China Sea to the east. 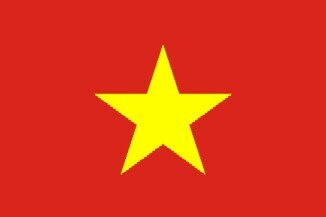 Economy: Vietnam is a densely-populated, developing country that in the last 30 years has had to recover from the ravages of war, the loss of financial support from the old Soviet Bloc, and the rigidities of a centrally-planned economy. Substantial progress was achieved from 1986 to 1997 in moving forward from an extremely low level of development and significantly reducing poverty. Since 2001, however, Vietnamese authorities have reaffirmed their commitment to economic liberalization and international integration. They have moved to implement the structural reforms needed to modernize the economy and to produce more competitive, export-driven industries.